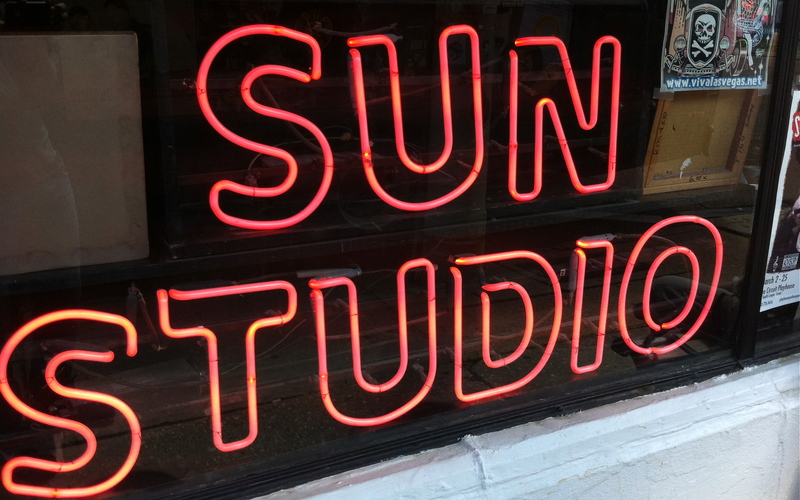 A tour of Sun Studio is a Memphis-must, reflecting the diversity and vision of the talent that recorded on the Sun label as well as American popular culture itself. 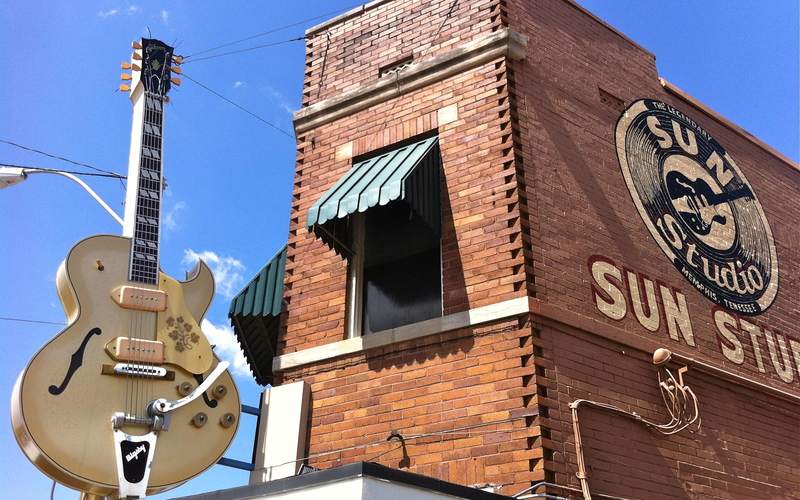 The Sun Sound began in 1952 when Sam Phillips launched his record company from a little studio on Union Avenue, Memphis, naming it Sun Records as a sign of his perpetual optimism. In a short while Sam gained a reputation for treating local artists with respect and honesty, providing a non-critical, spontaneous environment that invited creativity and vision. As a businessman, Phillips was patient and willing to listen to almost anyone who came in off the street to record. 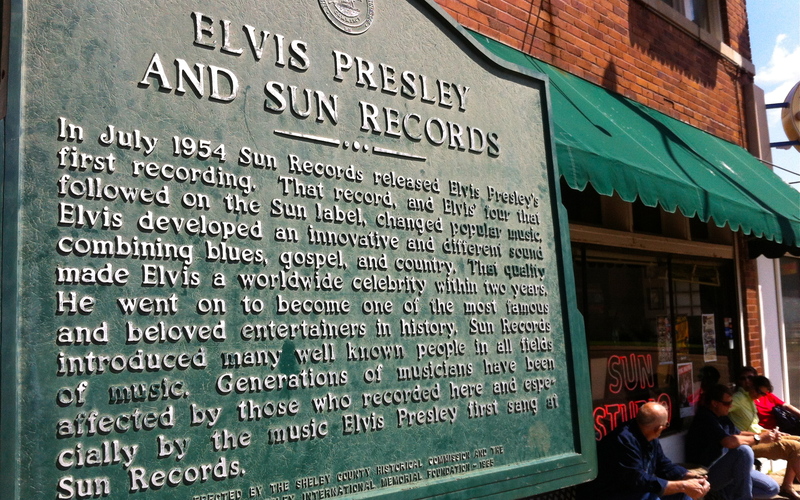 Memphis at the time was a happy home to diverse musical scenes: gospel, blues, hillbilly, country, boogie, and western swing. Taking advantage of this range of talent, there were no style limitations at the label. In one form or another Sun recorded them all. Then in 1954 Sam found Elvis Presley, an artist who could perform with the excitement and unpredictability of a blues artist but could reach across regional, musical and racial barriers. He helped to form the beginnings of the Sun Sound by infusing country music with R&B. Elvis’s bright star attracted even more ground-breaking talent to the Sun galaxy. Listed among his contemporaries and lab mates were Johnny Cash, Jerry Lee Lewis, and the “Rockin’ Guitar Man,” Carl Perkins. These four soon became known as the Million Dollar Quartet. And right behind them came Roy Orbison, Charlie Rich, Howlin’ Wolf and a whole host of musical talents. All eventually sold on pop, R&B and country charts, creating music that has weathered the test of time.